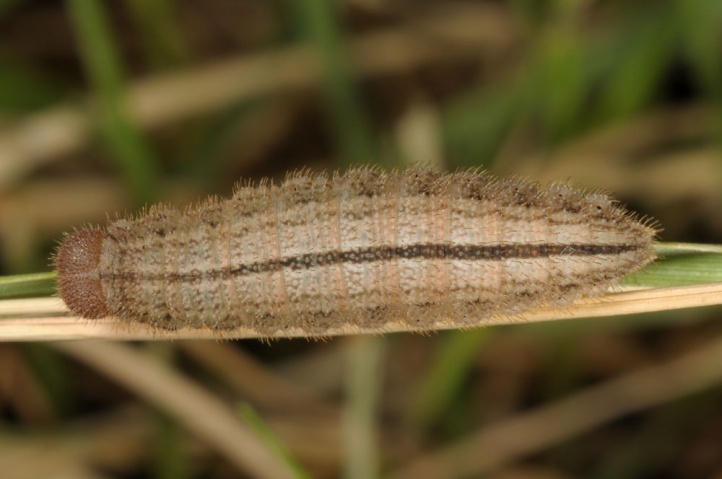 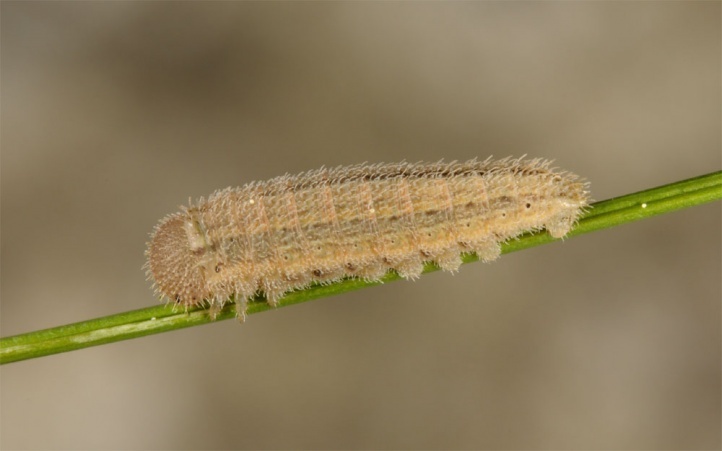 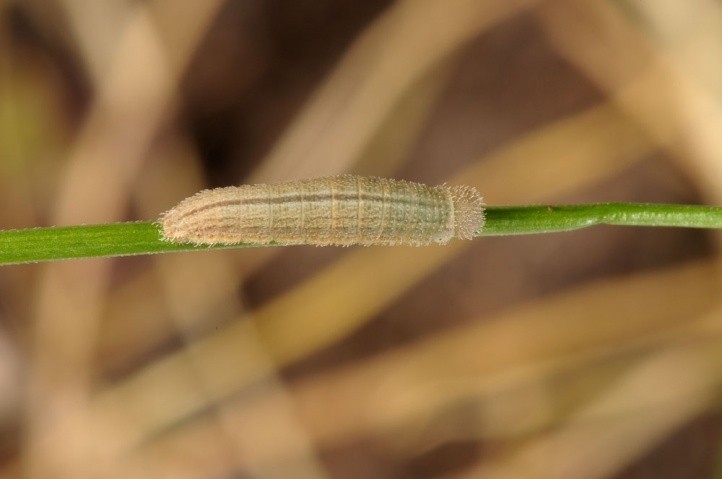 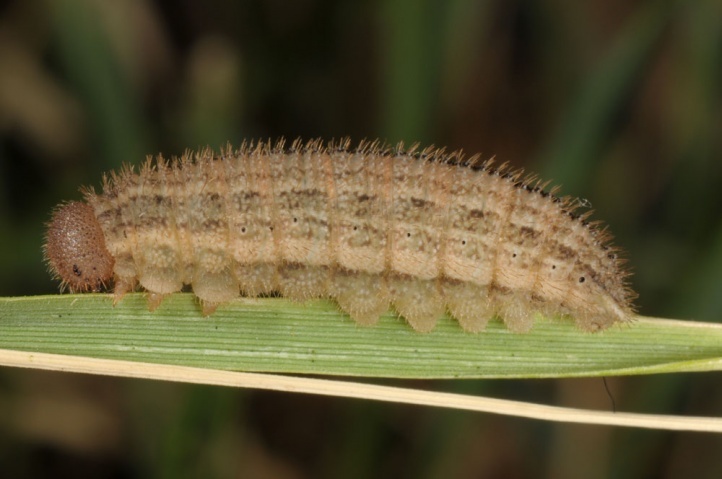 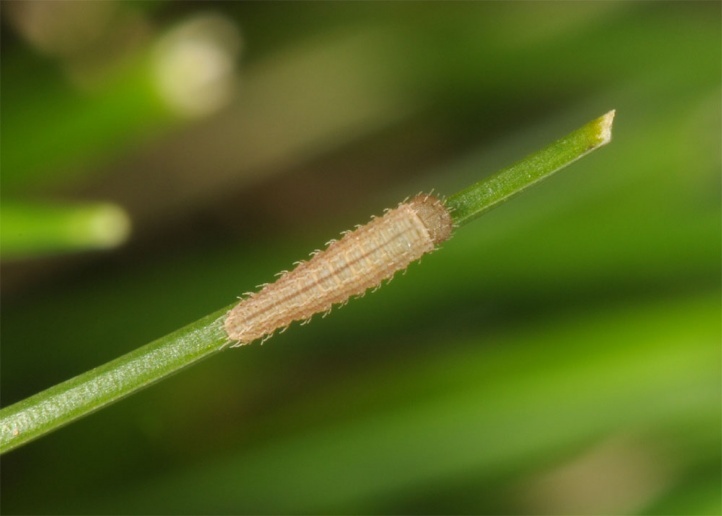 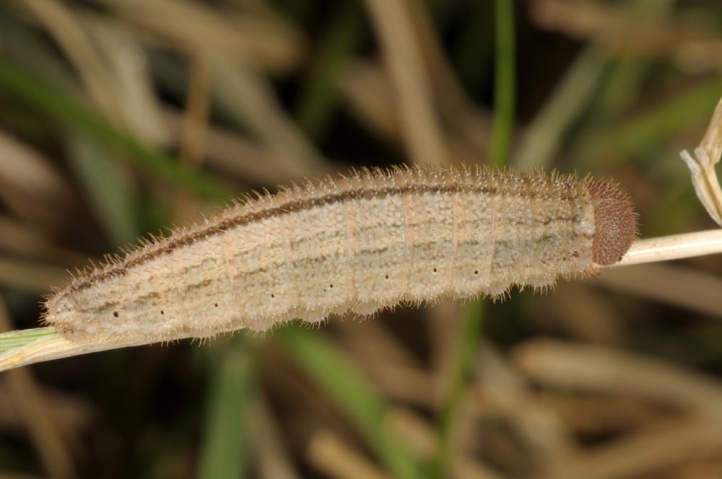 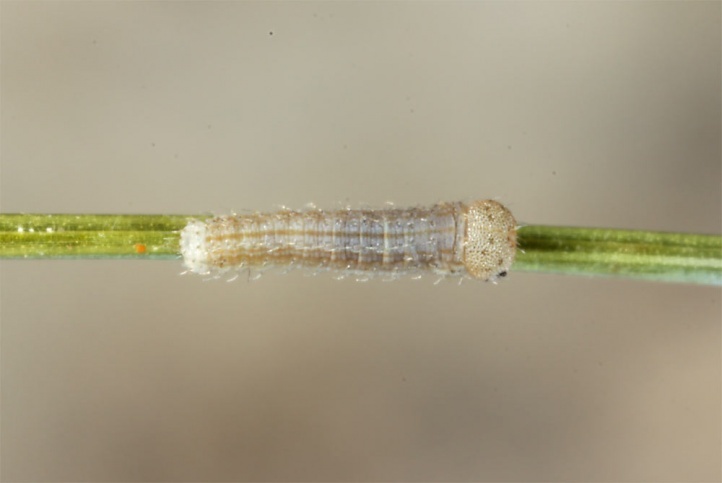 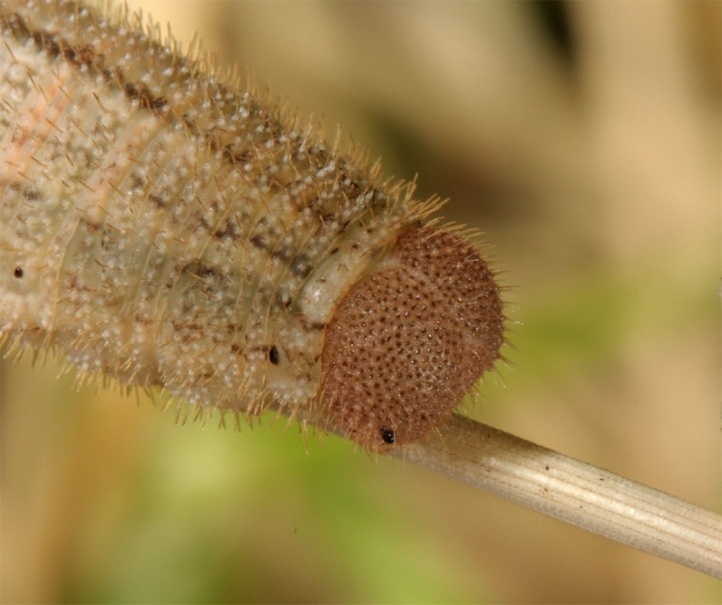 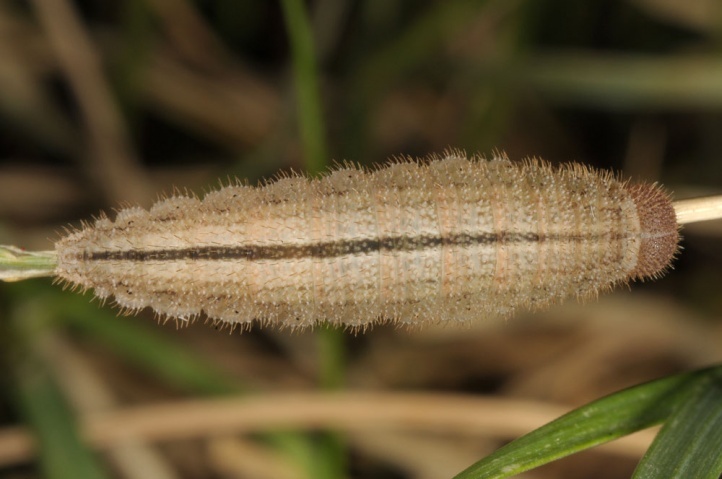 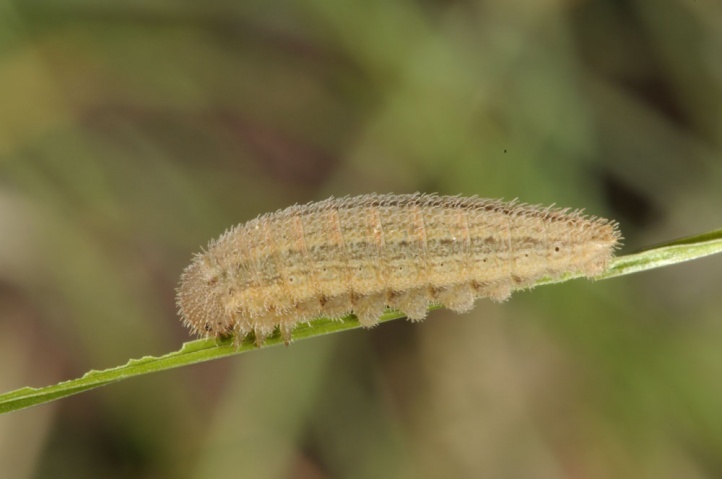 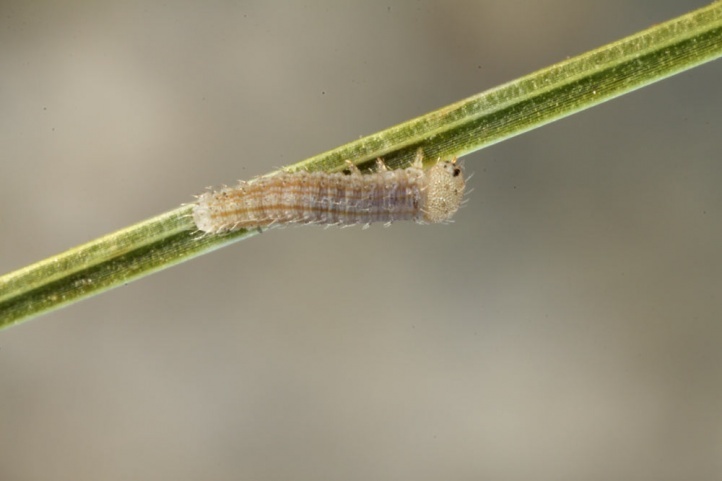 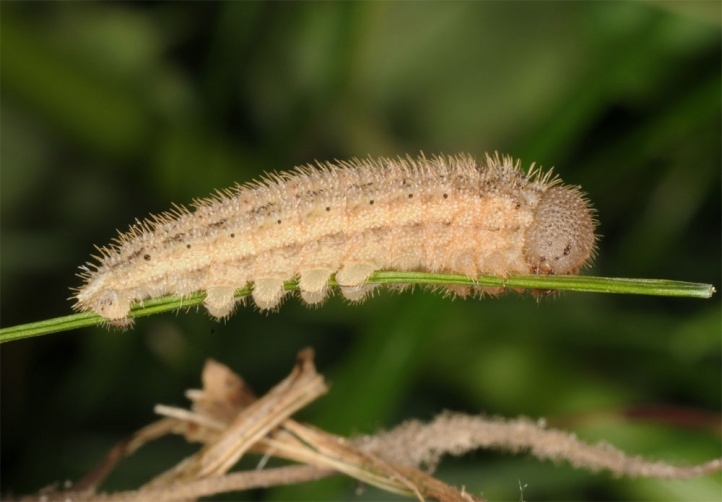 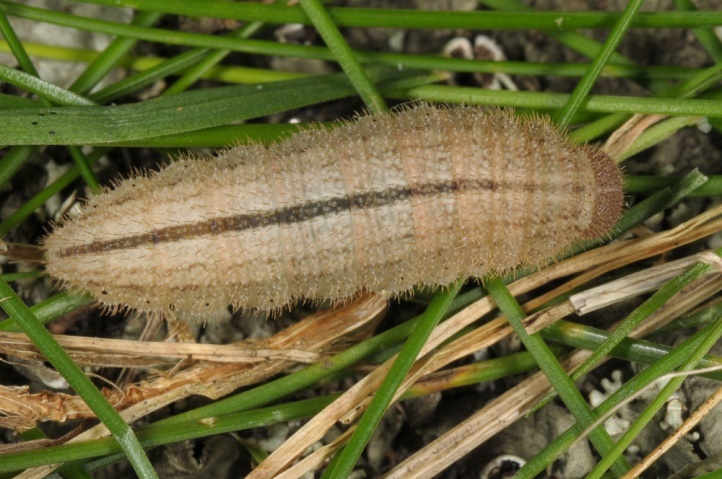 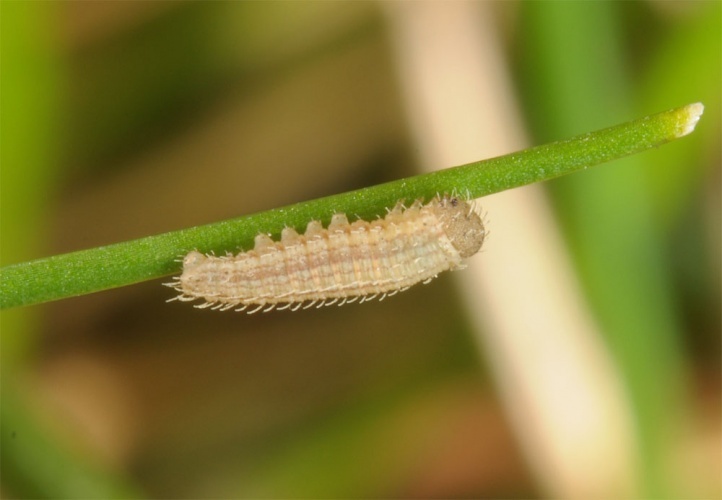 The caterpillar feeds on drought-resistant grasses, particularly tussock-forming like Festuca. 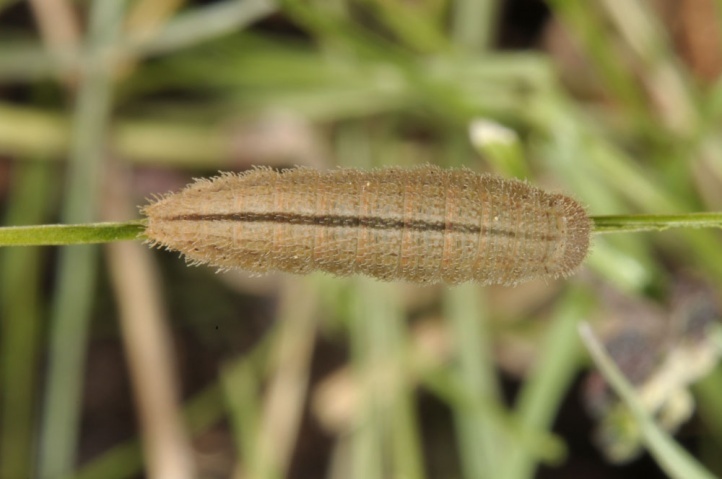 Erebia neoridas inhabits hot dry locations, particularly bushy slopes with dry grasslands and steppe-like vegetation. 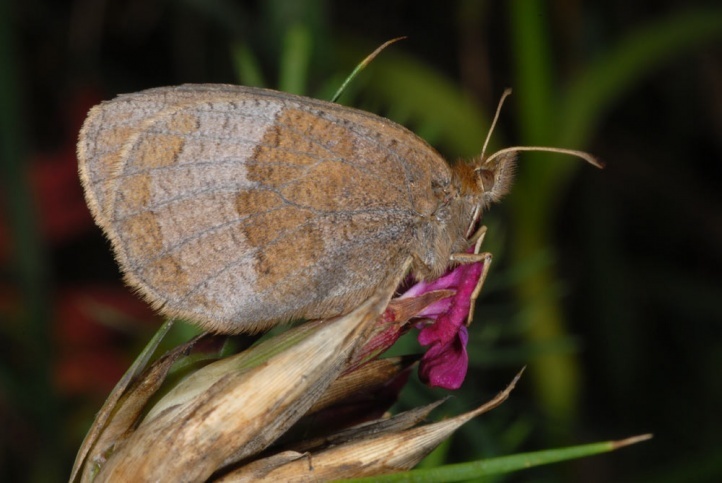 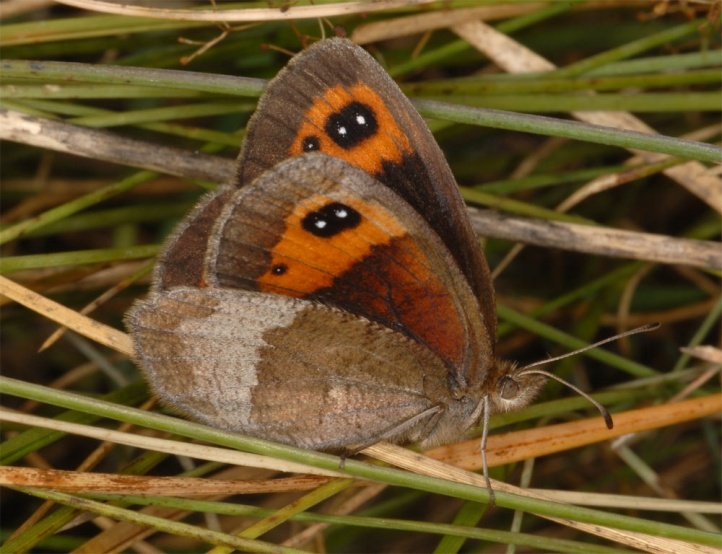 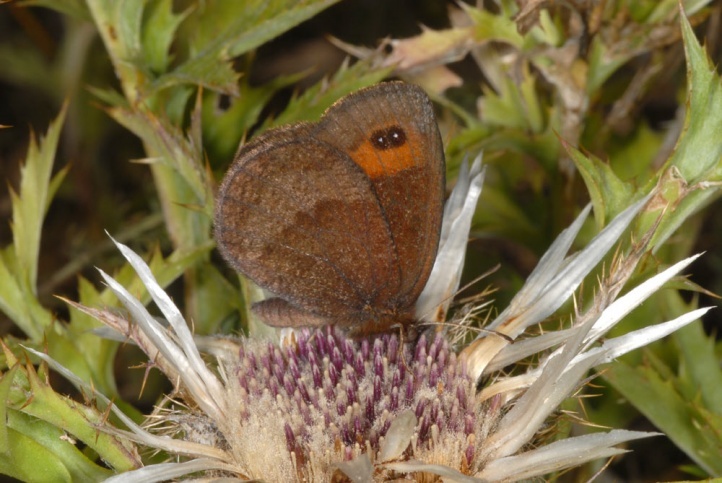 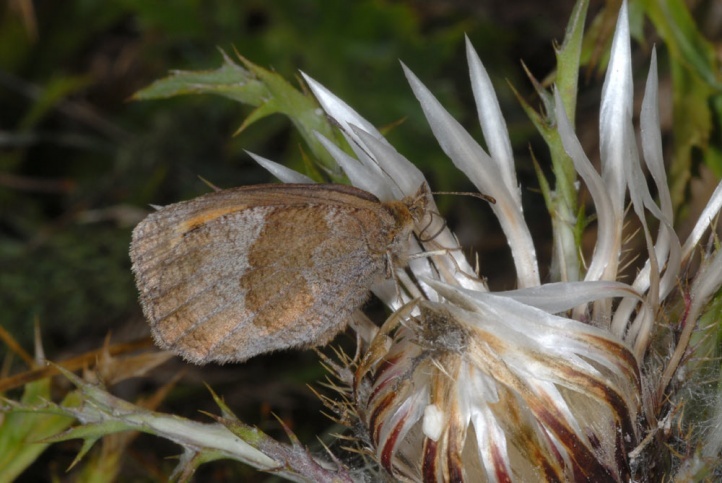 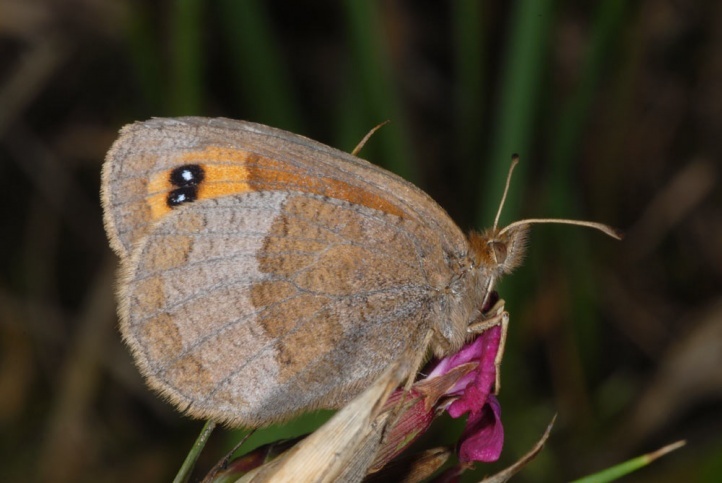 Sometimes the butterflies are also observed on clearings in dry mountain forests. 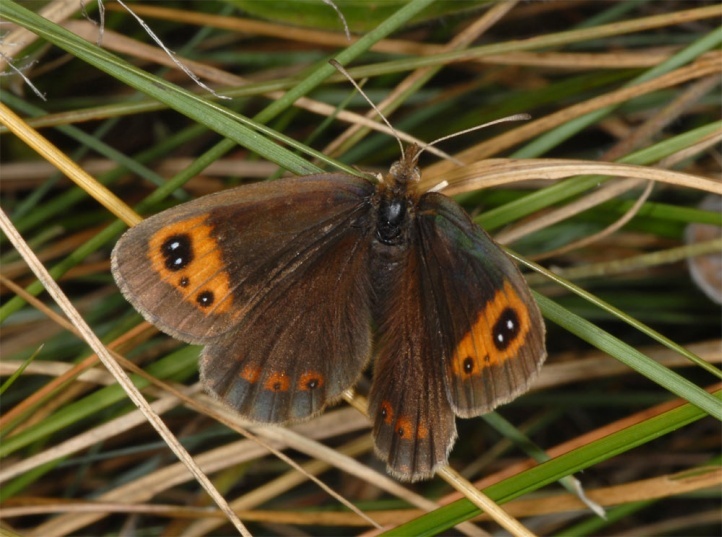 Erebia neoridas flies between 500 and 2100m above sea level (usually less than 1700m above sea level). 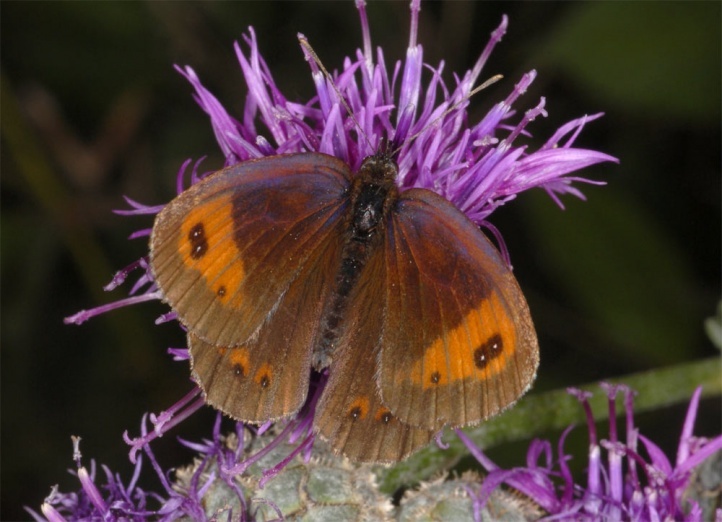 The adults fly in late summer from late July to late September with a focus on mid- to late August. 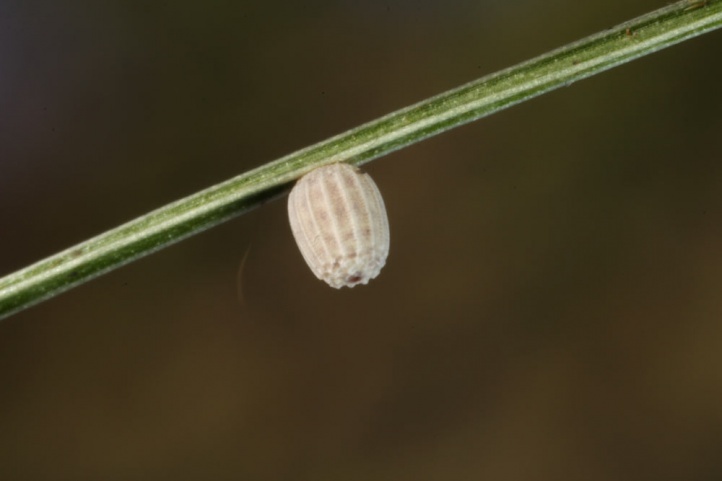 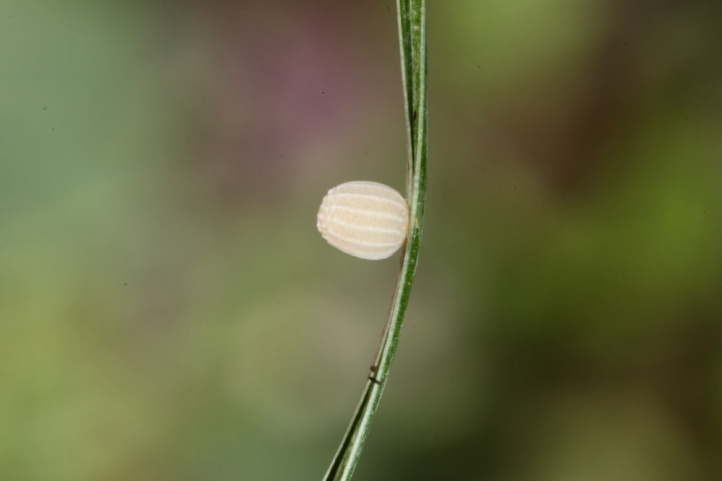 The eggs are attached to dry and even living grasses near the ground. 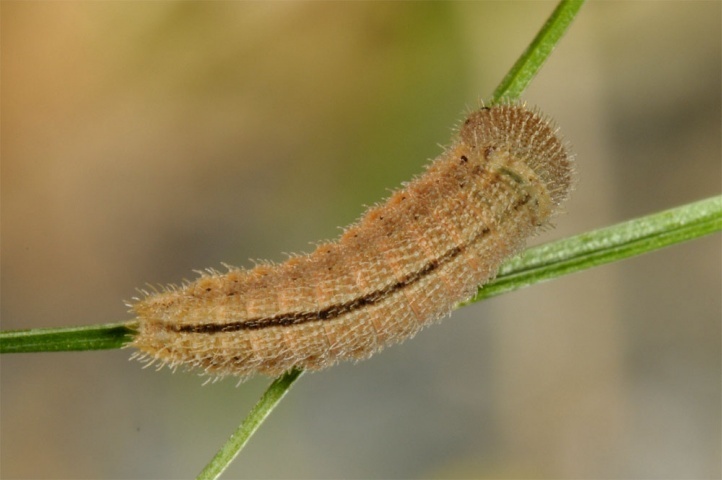 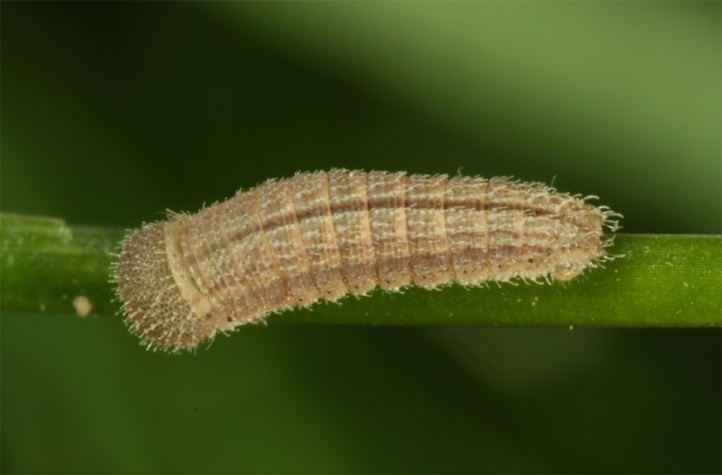 The young caterpillar overwinters (L1 or L2). 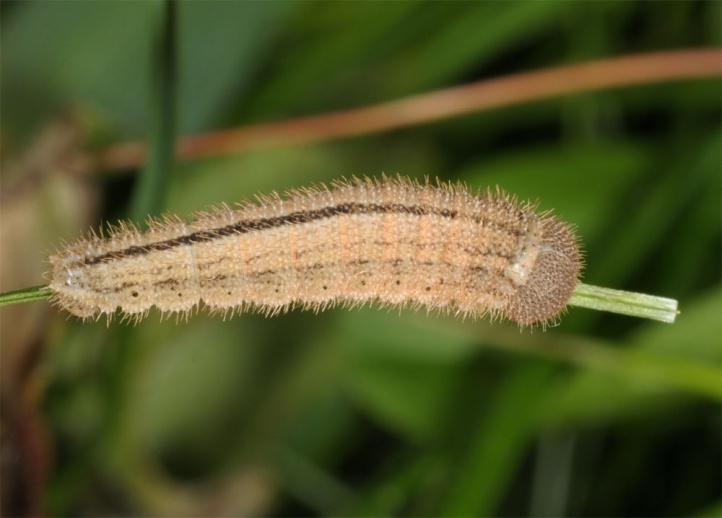 The caterpillars are fully-grown in late June or in July. 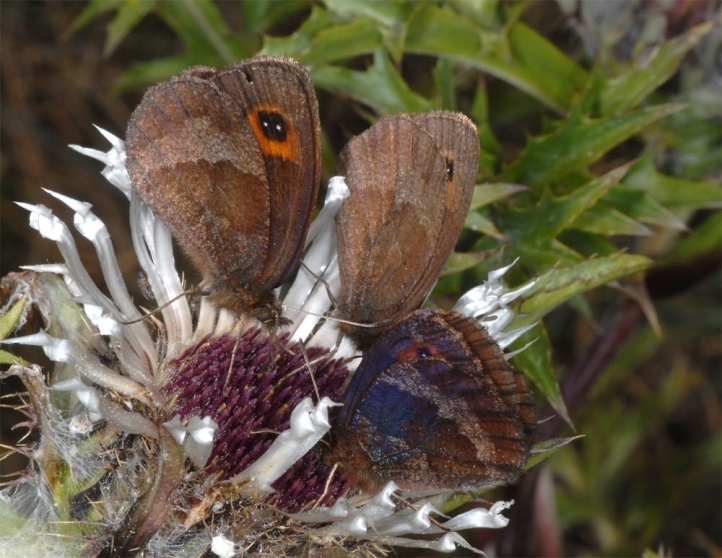 The butterflies visit flowers often in large numbers (Carlina acaulis, Centaurea, etc.). 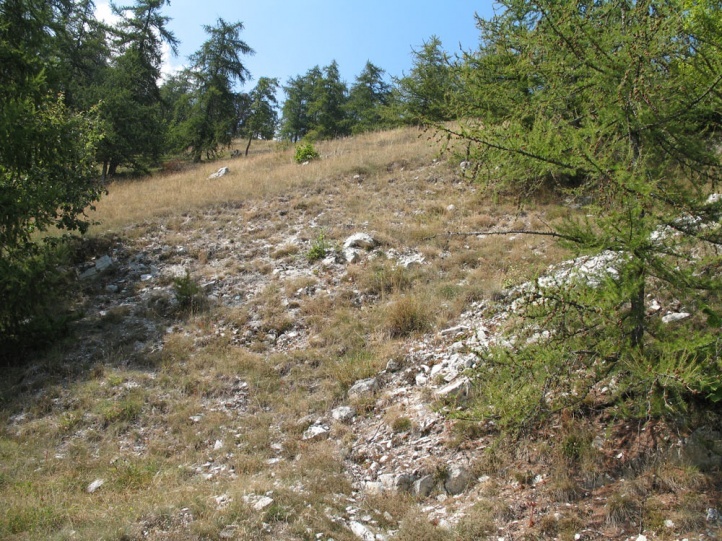 At lower altitudes, Erebia neoridas looses habitats by the expansionism of the people (overbuilding, intensification), but on the other hand also by abandonment of grazing or late mowing and subsequent reforestation. 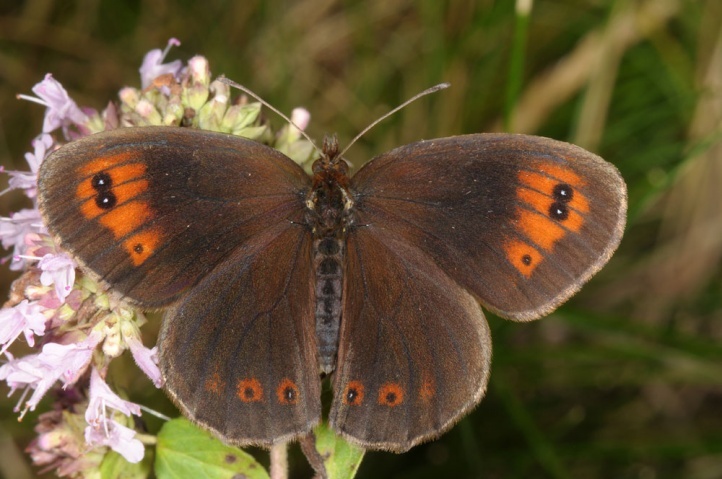 Overall, Erebia neoridas is still relatively common and still not threatened severely. 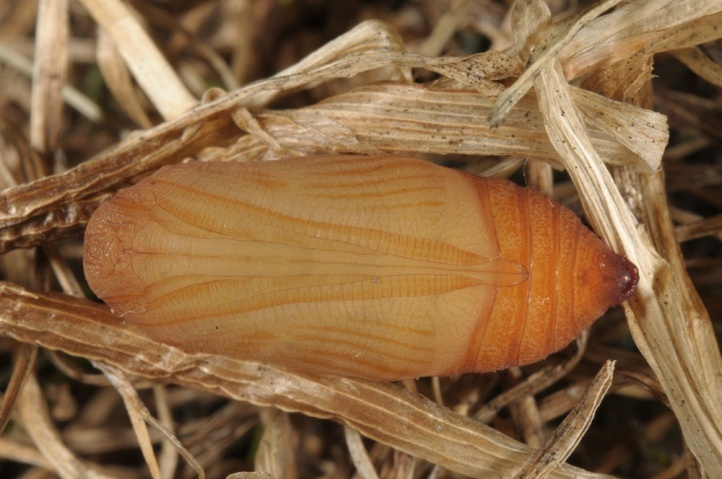 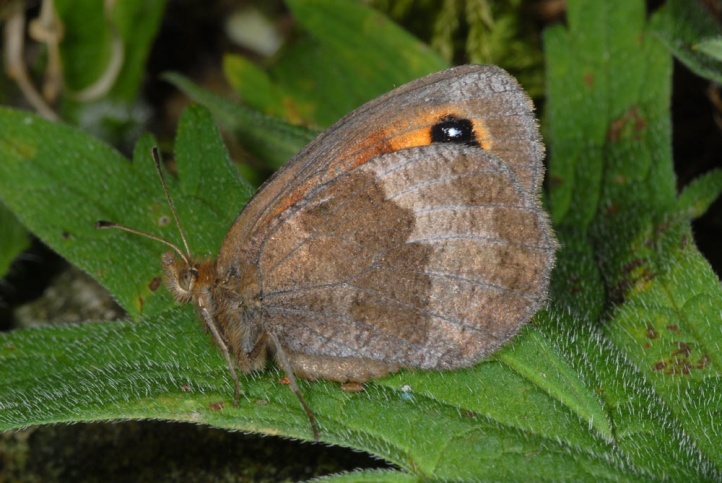 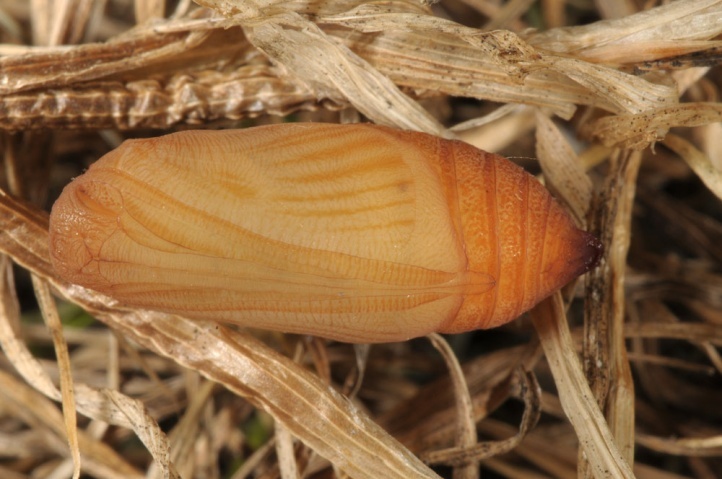 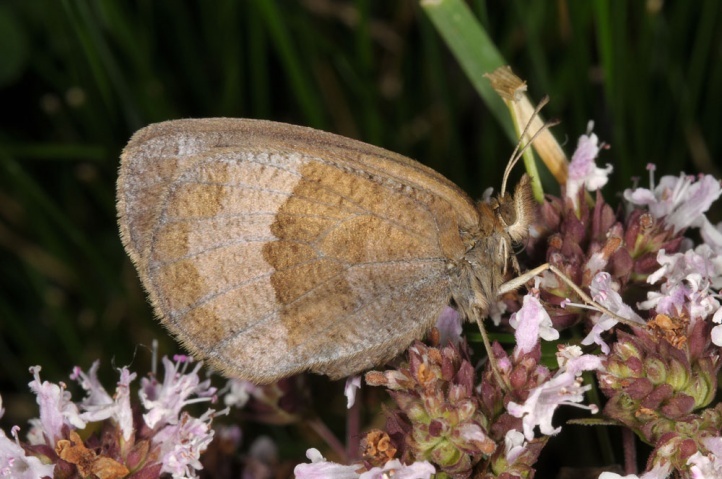 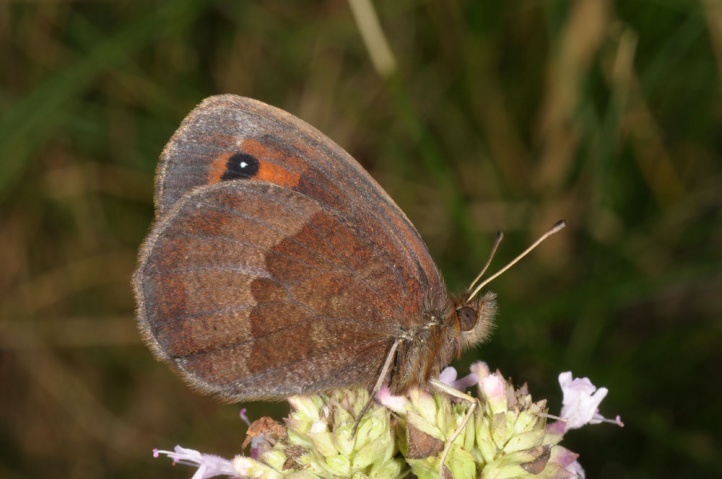 Erebia neoridas occurs mainly in the Southwestern Alps (Italy/France). 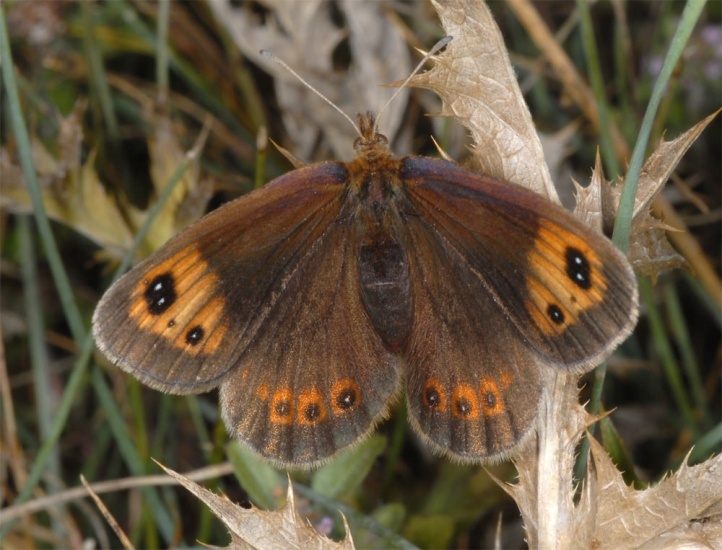 It is especially common in parts of the Alpi marittime (Italy). 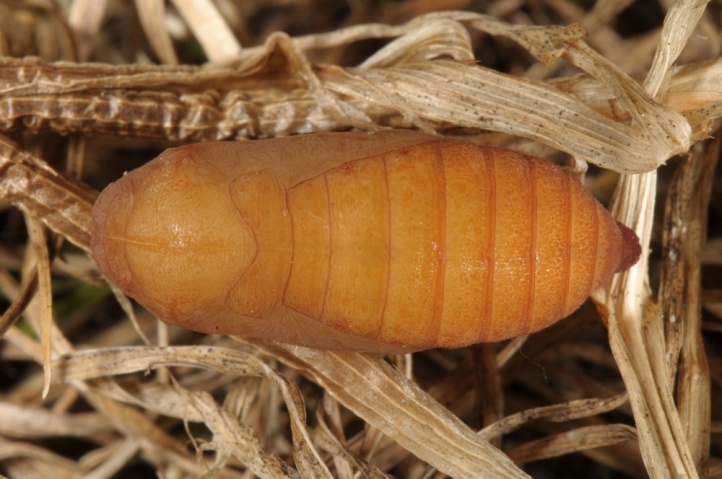 Besides, it is found locally in Central Italy, in the Massif Central, the Pyrenees and the Cantabrian Mountains (Spain).